This week I made my daughter do something that I knew she would not want to do if she was given the choice. Her lack of choice resulted in a great experience for her and she described it as “great fun”. That thing was a book club with some other kids her age that my friend Robin put together. It wasn’t that she doesn’t love books (FINALLY!! ), it was based on being uncomfortable with the idea of not knowing the other kids. I, on the other hand, wanted her to participate for several reasons. 1-Robin is a children’s librarian who currently is not working in a library. She loves books as much as I do (we’d probably argue over who loved them more). 2-I want my daughter to learn that reading or books are a great way to meet new people or have conversations that you might get to experience otherwise. 3-I believed she would have a great time and that it would giver her a needed boost to her self-esteem to be in a book club with someone she considers “really smart”. The kids have selected Calder Games for next month by Blue Balliet. My daughter picked Carl Hiassen for “her” hosting month. Why the title of the blog?? You know that big stack of books you keep next to your bed, in the family room, in your classroom, scattered throughout the house? That next book you can hardly wait to read? Well I am one of the queens of having a stack that I can hardly wait to read. Then the school year starts, my children’s schedules become fuller and it is hard to spend as much time reading as I would like. The stack keeps growing until I decide I am being selfish and that the students will be able to read them and tell us about them much more quickly than I will get to. 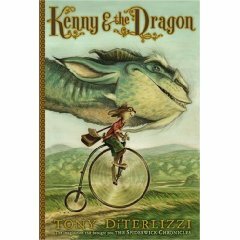 The most recent additons to my stacks: Kenny and the Dragon by Tony DiTerlizzi (I love The Spiderwick series), The Host and Breaking Dawn by Stephanie Meyer (I hate vampire books-go figure! ), The Complete Four for Literacy by Pam Allyn (this got good recommendations and I try to read everything that comes out from anyone who works/has worked at Columbia Teachers College), Samuel Blink and the Forbidden Forest by Matt Haig, Into the Wild by Sarah Durst (if it’s good enough for a sequel, I’d better get busy! ), Getting Started: Recalculating Schools to Become Professional Learning Communities by Robert Eaker and Richard DuFour (preparation for the new job), what have you lost? 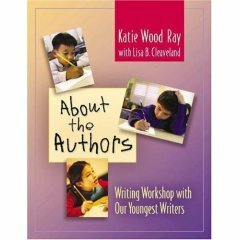 poems selected by Naomi Nye (I love all her work, so if she picked it out, I’ll probably like it as well), About the Authors: Writing Workshop with Our Youngest Writers by Katie Wood Ray (I love Katie Wood Ray and got to see her present for the second time this past summer. Also my speciality has always been intermediate aged students, so I want to be on my best game for primary students. Who better to help me brush up? 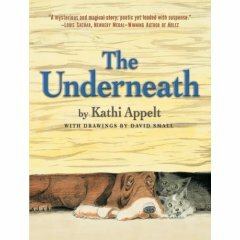 ), and The Underneath by Kathi Appelt (So many wonderful reviews by people whose taste in books I admire). When I look at the list in writing, it probably seems pretty random to someone else but the books tend to fall into four categories: children’s books for my fourth grade classroom, professional development books that focus on education and specifically any area of reading, writing, literacy, or language arts, and adult reads for the book club I belong to. I’m sure the next best book is in that stack!